Already a smash hit in Australia and New Zealand, this summer audiences across North America will also get to experience the magic of fire-breathing dragons that soar through arena skies in HOW TO TRAIN YOUR DRAGON LIVE SPECTACULAR. Produced by RZO Dragon Productions, the tour promises to deliver 23 dragons, some with wingspans of up to 46 feet, Viking warriors and world-class circus artists and acrobats, performing against a state-of-the-art, wall-to-floor immersive projection measuring more than 20,000 square feet. The show kicked off at the end of June in Pennsylvania, and is making it’s way across the country, stopping in Chicago, Philly, Cleveland, Detroit, Seattle, Sacramento, and more cities in the US and Canada. 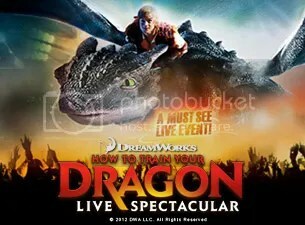 Visit dreamworksdragonslive.com/tickets for a full tour schedule and to buy tickets. My family and I are going to see the show later this month in Washington, DC, and are really looking forward to it. It’s likely hitting a city near you, too! HOW TO TRAIN YOUR DRAGON LIVE SPECTACULAR was created by DreamWorks Animation, producers of the Academy Award®-nominated film, How to Train Your Dragon, and Global Creatures, the masterminds behind the international phenomenon “Walking with Dinosaurs,” the #1 grossing world tour of 2010. HOW TO TRAIN YOUR DRAGON LIVE SPECTACULAR’s worldwide tour is exclusively promoted by S2BN Entertainment and delivers some of the most ambitious theatrical technology to ever tour the arena. HOW TO TRAIN YOUR DRAGON LIVE SPECTACULAR breaks every rule of theatrical entertainment to fully immerse audiences into the show in ways that have not been attempted before. Barely contained within the arena, HOW TO TRAIN YOUR DRAGON LIVE SPECTACULAR utilizes the full venue, maximizing every dimension of the performance space to transport audiences into a mythical world of fire-breathing dragons who soar overhead at great speeds. The state-of-the-art animatronic technology and large-scale cinematic projections interact seamlessly with the live actors, who bring DreamWorks Animation’s heart-warming story to life through theatrical storytelling, martial arts and acrobatics. It’s not to be missed! Regular ticket prices range from a low of $29.50 to a high of $69.50 (excluding fees). A limited number of premium seats and special VIP ticket experiences (like meeting the dragons!) and family packages are also available. Visit dreamworksdragonslive.com/tickets to purchase tickets, for showtimes and more. Get great seats for a big discount! Once you’re on TicketMaster, use discount code: MOM to save 25% on weekday performances (including Friday nights). 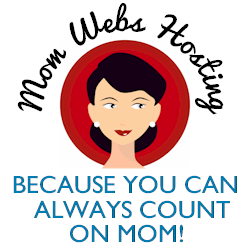 In some markets there is a dedicated box that says “mom blogs” on the TicketMaster order page, but on some there’s not so you’ll enter the code in the general promo code box. Local to Washington, DC? HOW TO TRAIN YOUR DRAGON LIVE SPECTACULAR will play at the Verizon Center July 19-22. Right now Living Social has a great discount on tickets. Don’t miss out! Disclosure: In exchange for sharing this information with you, my family was provided with tickets to the show in Washington, DC later this month. Stay tuned for a review!